Another day, another Real Housewives star is in trouble with the law. 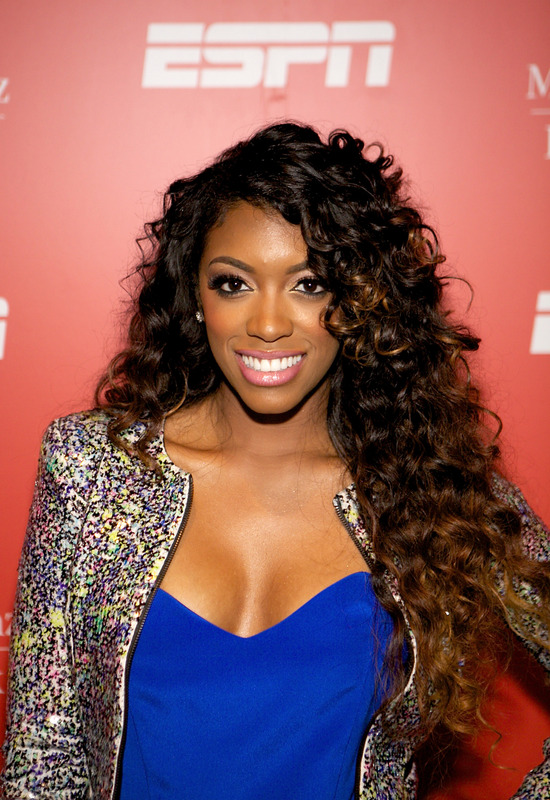 An arrest warrant has been issued for Porsha Stewart for the on-air altercation between her and Kenya Moore at the Real Housewives of Atlanta reunion episode. The fight actually took place on March 27, but Moore didn't press charges until after. The Atlanta Police spokesperson, Sgt. Gregory Lyon explained that while there is a warrant out for simple battery, Stewart is not currently in police custody. The news of Stewart's warrant comes just as the RHOA star finalized her divorce with ex-husband Kordell Stewart. While the estrangement between Stewart and the former quarterback was also quite tumultuous, it doesn't look as if the behavior is a pattern. Andy Cohen, host of the RHOA reunion explained that the brawl was ugly and that the cast sided with the troubled reality star. "To me, it came out of nowhere. The other women felt like Kenya provoked Porsha a bit... I was so shocked and surprised. I don't want that to happen. I think it's gross. And I think it just... it's totally inappropriate, it's wrong, it's not entertaining. It's just bad." Don't get us wrong, we love ourselves a little Housewife drama from time to time, but for things to escalate to this level just seems utterly ridiculous. We're having RHONJ flashbacks to when Teresa Giudice would flip tables for fun. Also, we tend to agree with the Atlanta ladies in their defense of Stewart. The usually demure star may have had her own relationship woes but she doesn't usually stir the pot. Moore, on the other hand, is a serial instigator, starting drama with anyone and everyone in the cast. While we're not condoning the violence, we hope that Moore comes to her senses and drops the charges, chalking it up to a heated moment. After all, isn't Stewart suffering enough? We hear she may be losing her spot as a housewife due to this debacle.